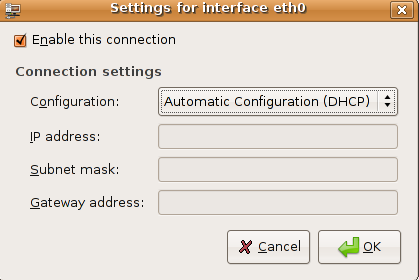 If you are new to networking the graphical configuration tool is your best method for configuring new hardware in Ubuntu.We are going to use GUI tool "network-admin" to configure networking. Remember, you must be root to run network-admin. 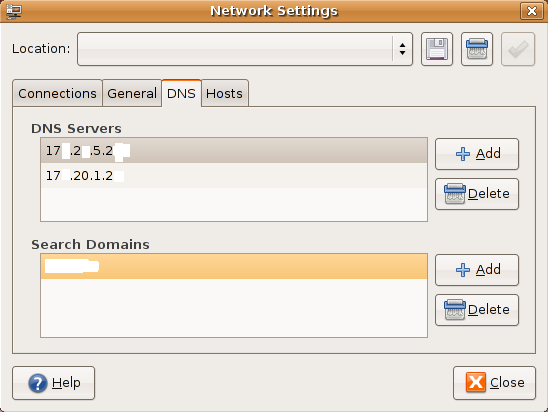 Next one you need to click on "DNS" tab to configure your system's DNS settings, hostname, or DNS search path. Setting up your hostname upon a ubuntu installation is very straightforward. You can directly query, or set, the hostname with the hostname command. 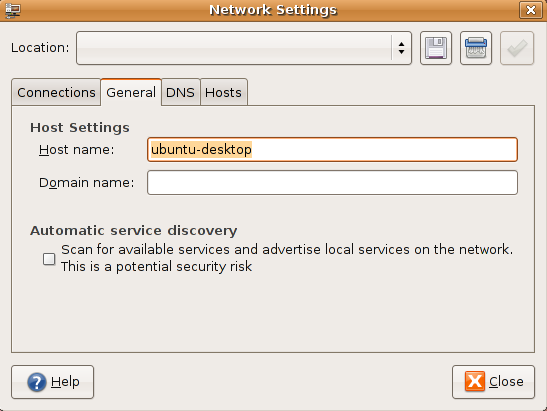 When it comes to DNS setup Ubuntu doesn't differ from other distributions. You can add hostname and IP addresses to the file /etc/hosts for static lookups. Networking is sometimes considered to be complex, and hard to troubleshoot and manage. However, Linux provides you with Some tools to figure out exactly what's going wrong on your network, and how to fix it.Here we are going see some tools and how to check the network connectivity. Ping is a computer network tool used to test whether a particular host is reachable across an IP network. Ping works by sending ICMP “echo request” packets to the target host and listening for ICMP “echo response” replies (sometimes dubbed "Pong!" as an analog from the Ping Pong table tennis sport.) Using interval timing and response rate, ping estimates the round-trip time (generally in milliseconds although the unit is often omitted) and packet loss (if any) rate between hosts. What do you do if the ‘wired connection’ option is not there (the only option is ‘modem conection’). The computer is old but does have a network adapter. Don’t do that on Ubuntu, since sudo rely on /etc/hosts (and at that point the hostname command does NOT change the 127.0.0.1 record) you will end with a system with no sudo rights, your only choice will be to boot a live cd, mount / and edit your hosts file. 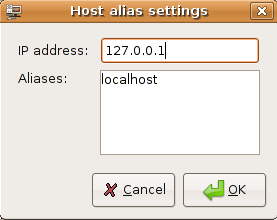 The safest way to change the hostname on Ubuntu is to use the GUI (network-settings as shown on your capture), if you really want to do it via command line, keep in /etc/hosts your old and new name for 127.0.0.1, and use the hostname command. Awesome! I am a total comp n00bz0r. Thanks! Great, I like tutorials like these. It makes me learn Linux very fast and with fun, thanks to you. Useful information, thank you for posting. I do have one correction for you. In the section “Setting up DNS” you seem to have accidentally changed IP addresses from mentioning an example of a resolv.conf and actually showing the details of it (first the IP is 192.168.1.1 and then in the file you specify it as 192.168.3.2). This might be confusing for people that don’t understand the fact that this is a mistake resulting in one of those “tear-your-hair-out-WHY?” moments that I remember certain textbooks subjected me to. anyways just my thoughts as a windows user who tries to switch every six months to linux only to be repelled by the wifi issue!!! 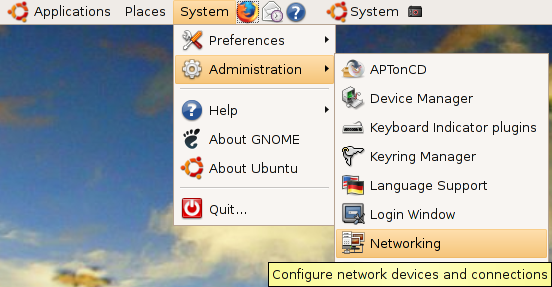 Network Manager is way nicer… “sudo apt-get install network-manager-gnome”. Then you don’t have to do any of this BS. This is just another reason that linux isn’t adopted into the mainstream since techies love to do things the hard way. sure, if you want a brainless OS, run windows, and put up with all the spam, viruses, etc. if you can use more than 4 of your brain cells and can think a little, get linux. sure it might require a little work *gasp* but the rewards are far worth it. leave the mindless masses to run windows. enjoy. Great tutorial! Helped me a lot. I finally managed to set my second IP so I can join the DC++ hub on my network. I am on one of this lame networks with 2 IPs. But I just have one problem. Every time I boot up my computer, my DNS servers are lost. I have to set them up again every time. Anybody have a solution? Thanks! 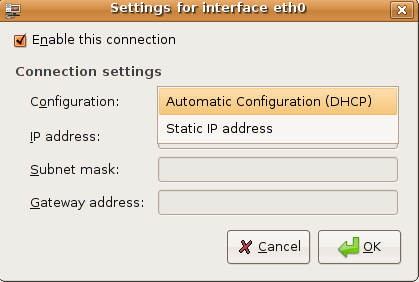 How can I use my Ubuntu machine as the “host” and have all others in my network access the internet via Ubuntu. I am using a Linksys wireless router, and Firestarter would be used on the ubuntu machine. I have tried several different tutorials with no luck. all men remember that linux not limit. Seriously, you need to get a life. If you got spam (which has nothing to do with your OS) and viruses while you were running Windows, it’s most likely your fault. The only time I’ve ever gotten any malware on a Windows box (yes, just once over the course of about 10 years,) it was my fault and was unrelated to the OS. Furthermore, it wasn’t actually able to do anything, it was just there. Just because you run Linux (which, btw, I do, too) doesn’t mean you’re smarter than someone else. Most people do not have the time to spend trying to get their computer working correctly (editting conf files, compiling stuff from source, etc.) They need something that they can just install and it all works out of the box. Therefore, they use Windows. Also, both Windows and Linux can have security holes, if they are not configured correctly. They can also both be quite secure if they are configured correctly. It’s not unique to either one. Would you be so kind as to reply to question number #1 above? I am having the exact same trouble — your tutorial is great, but my Networking options don’t list “Wired Connection”, even though the cable is plugged in and works fine when I boot into Windows. Please respond!!!! well its nice tutorial. but I m interested in connecting internet through modem. If u can help in this regard. Muollo has a good point. I just installed Ubuntu 6.06 on 17 April. to get my system secured and networkable for home use. Can anyone help? I’m beginner and it still not clear, the article should explain for beginner, Networking for 2 computers, one of them connect to internet (simple networking) for home use, next step is how to browse each other for file transfer and editing. Hope you can help me. what the problem in above ???? How can i conect Ubuntu to windows xp? is it possible? i have bsnl nic wirelees card 144kbps. 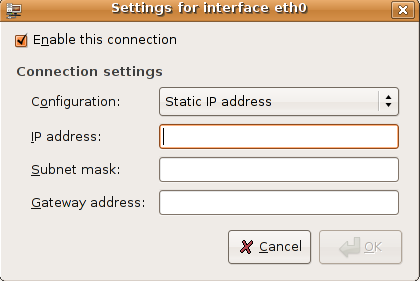 Thanks for the tutorial, really good, but how can I remove a network interface in ubuntu immediately using CLI? I know I can remove interfaces from /etc/network/interfaces file, but some virtual interfaces are not listed there. I also know about “ifconfig down” command but what I want is to get rid of the interfaces completely. What I am looking for is something like “ifconfig unplumb”, which is used in Solaris systems, but for Ubuntu. Does something like this exist? I can’t get ubuntu to connect…help. Drive c= xp pro connects fine. ubuntu drive d=no internet connection. ga-v7axp motherboard with realtech network interface. This noob is pulling his hair out. i dont have networking in my Ubuntu,i have just Network tools,i need to configure networking>Networking options>TCP/IP networking >IPv6 protocol/config_tun=y. Is it possible to connect a Windows machine to an Ubuntu network? I want to emulate FTP ( both active and passive mode) with net cat. This is my college assignment. Can any body help? Great tutorial. Nothing fancy, straight to the point. Thanks a lot! Hello. I have about five ancient computers that I installed ubuntu and also xubuntu on. I am very new to ubuntu, and linux in general, and I would like to set up a wired ethernet connection between them, without internet. How is this accomplished? 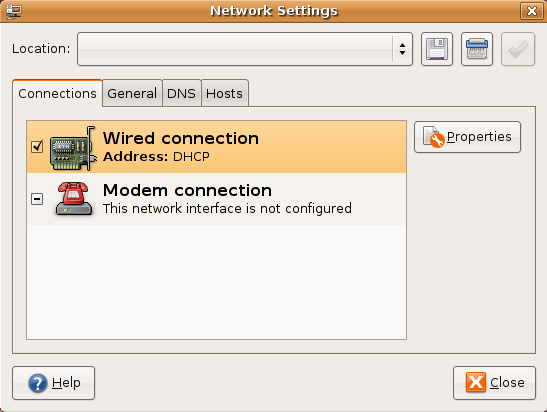 sir i hv network tools no networking and there no modem or wire connection option in my ubuntu 10.04 how can i get networking in administration and solve the modem problem please sent me the answer. now the latest ubuntu as been updated 14.04 u can install that it’s so nice nd easy also…. nd i think ur problem is also solved by installing this…. Ubuntu and windows work hand in hand, you can have a windows network with linux / ubuntu PC’s within or you can have a Linux network with windows in, it makes no difference, rather that the tools in each OS find it difficult to to pick each other up. If you are having problems, it will most probably be the settings on each, however it depends how your connecting, through a server or ?